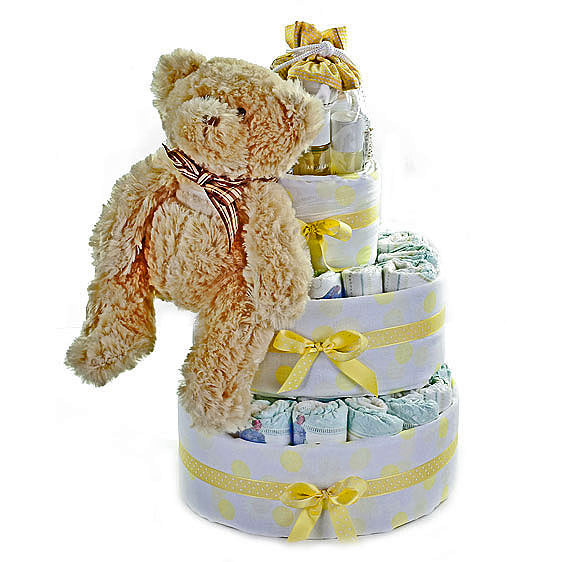 Our nappy cakes are all custom made right here! 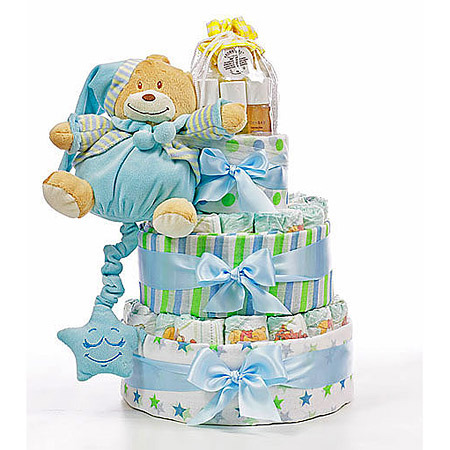 We use lovely clothing and accessories from our favourite suppliers to make these truly memorable nappy cakes. 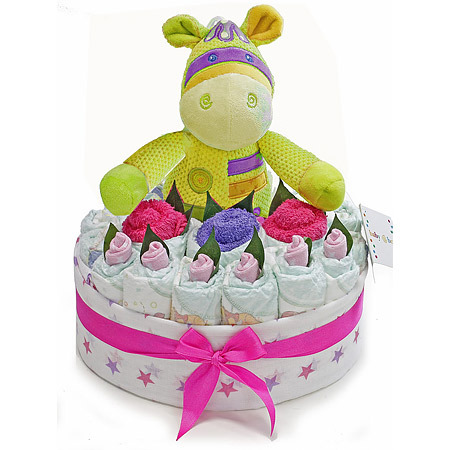 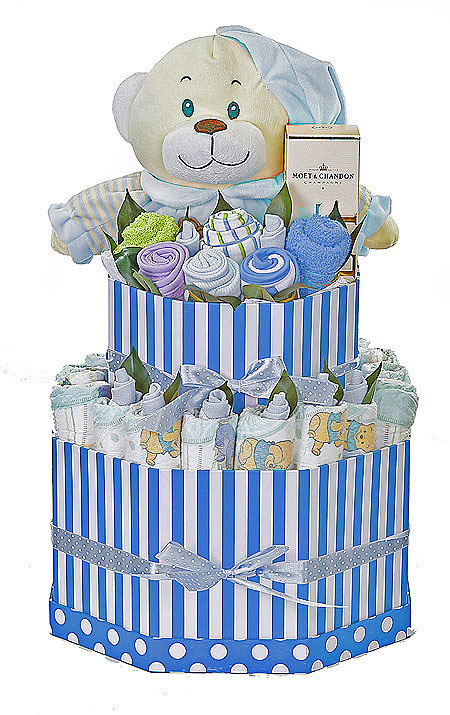 These bright and colourful nappy cakes are a great alternative to flowers or traditional gift sets and offers the recipient something visually stunning. 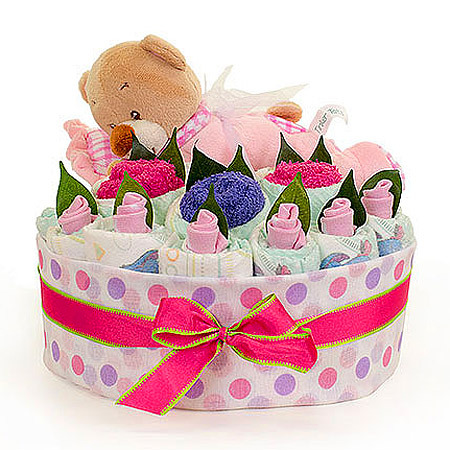 As the name suggests, they are made from huggies nappies and made to resemble 'real' cakes. 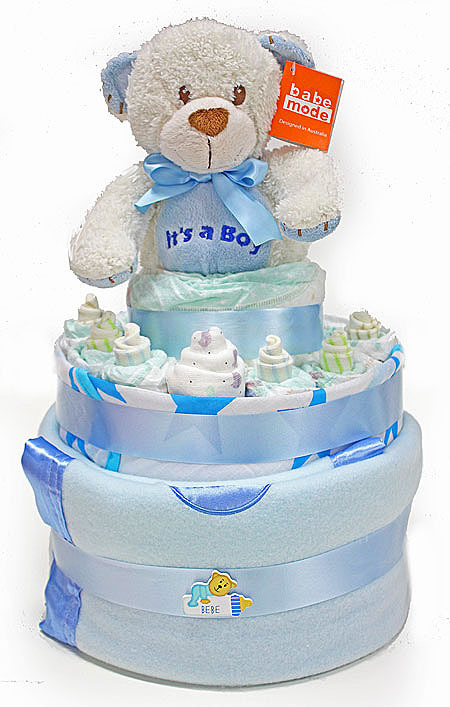 What should i expect to find in a nappy cake? 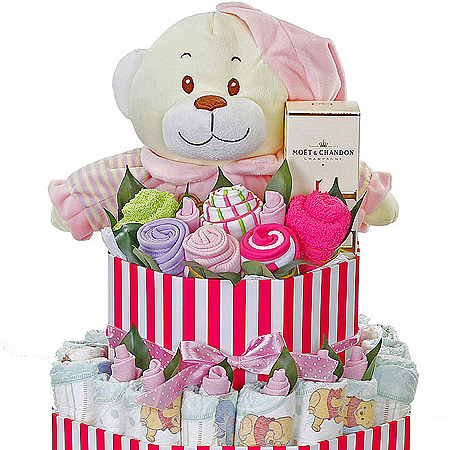 All nappy cakes are unique in design and styling and although they all look similar in ways, it's what items found inside that really makes the difference. 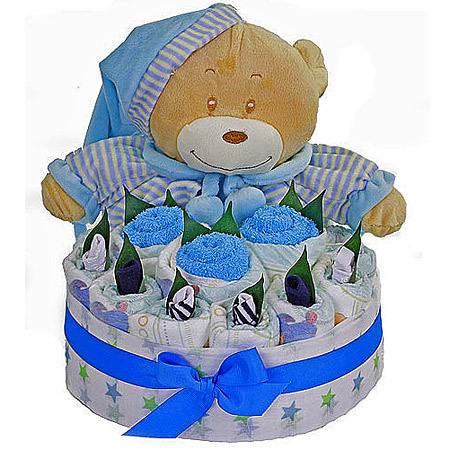 Some of the nappy cakes are jam packed with great items such as rompers, muslin wraps, bodysuits, bibs, singlets and more! 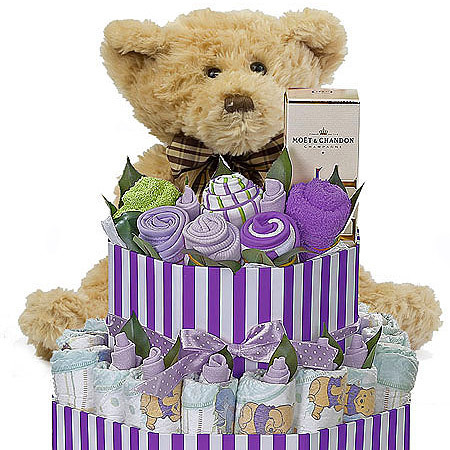 You'll find many of the cakes have a plush teddy positioned at the top for maximum effect. 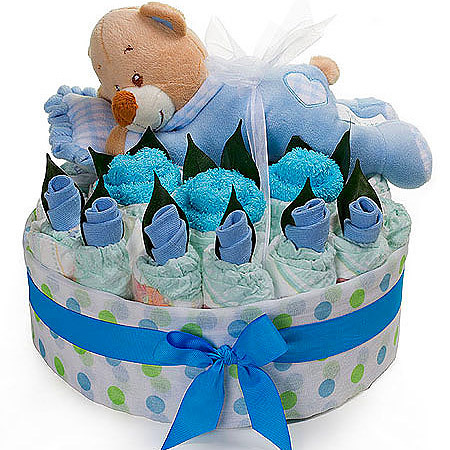 Once completed they are wrapped in cellophane and then gently placed in packaging boxes ready to ship out. 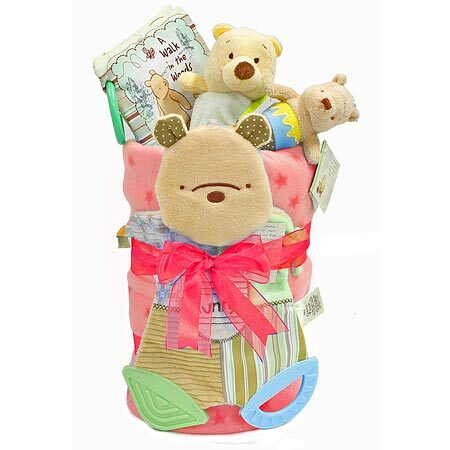 We even stock a range of licensed products from Beatrix Potter including 'Peter Rabbit' & 'Pooh Bear'. 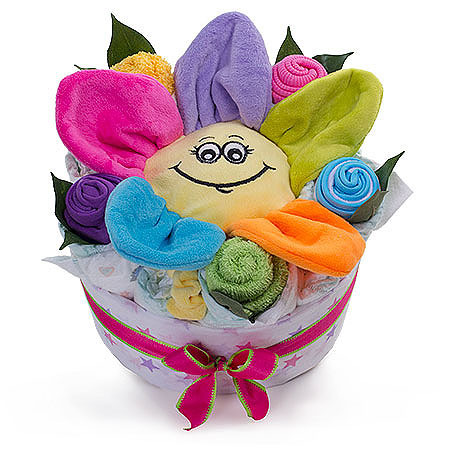 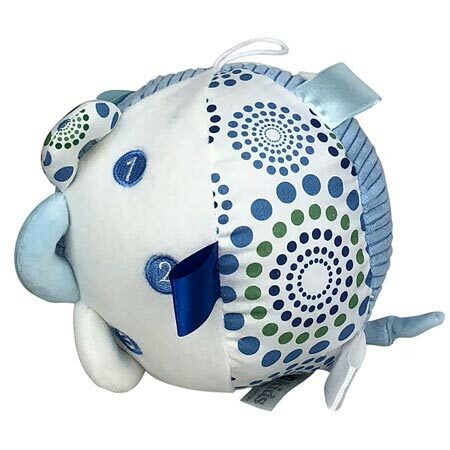 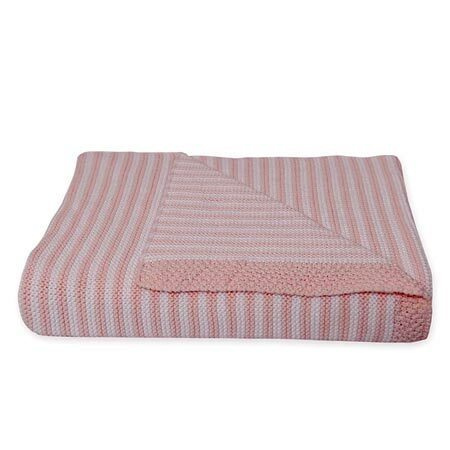 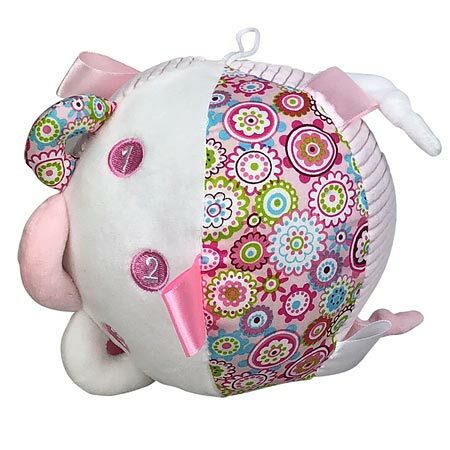 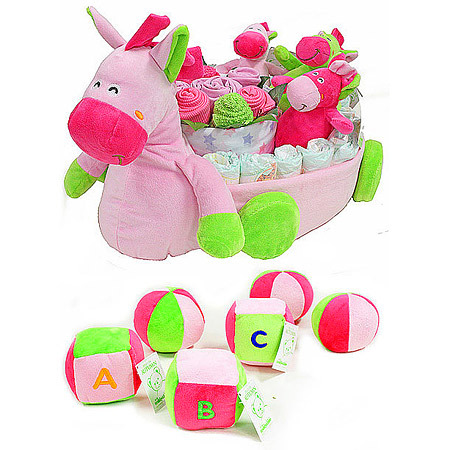 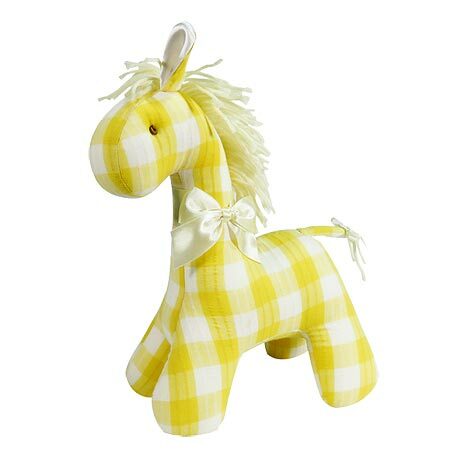 Over time we find some of our baby gifts are far much more popular than others. 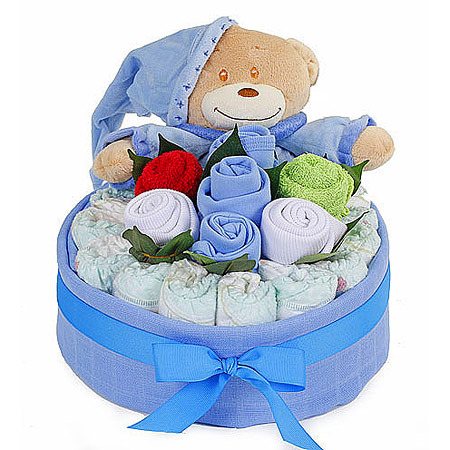 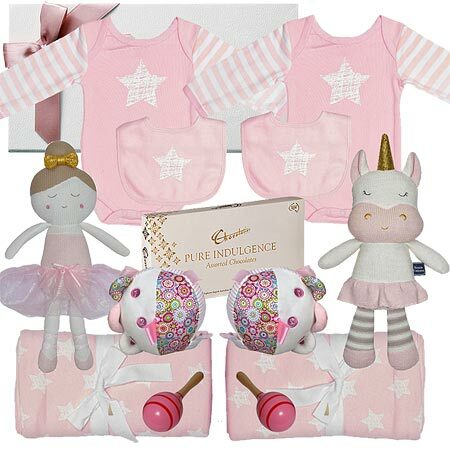 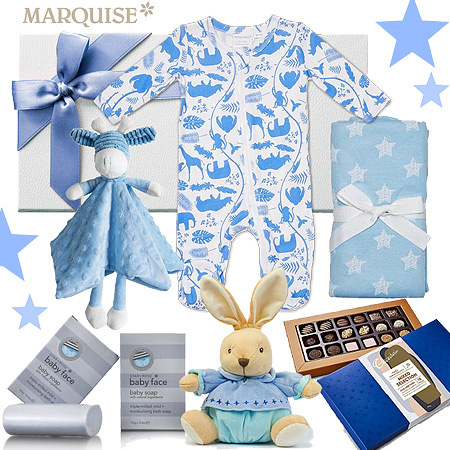 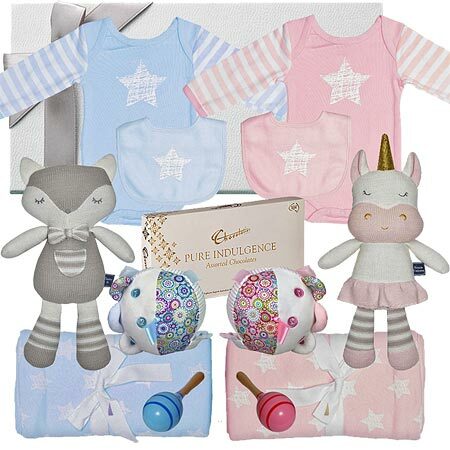 To help new and existing customers navigate the website and find what they're looking for faster we have conveniently categorised the best selling baby hampers along with some other popular ranges below.